“In Redwood, Miss., a community of less than 1,000 about 15 miles northwest of Vicksburg, employees of the Vicksburg-Warren County School District worked Sunday to pump seepage from the front of Redwood Elementary School. A dirt levee had been built there in recent weeks. “Redwood United Methodist Church Pastor Barbara Hite … urged her congregation to hold tight to their faith as floodwaters crept near the tiny, white church at the end of a winding road. Redwood United Methodist Church sits at the southern tip of the Mississippi Delta (now formally called the Yazoo-Mississippi Delta), the alluvial plain of rich soil where cotton, soybeans, corn and rice are grown in vast fields and where the Blues were born. The church sits on Highway 61, the ribbon of highway built on a levee which runs north and south throughout the Delta and made famous by the Rolling Stones and Bob Dylan. Redwood is named after the Redwood Plantation, and it was originally called Carthage and established in the early 1830’s as a crossing over the Yazoo River into the great Mississippi Delta. 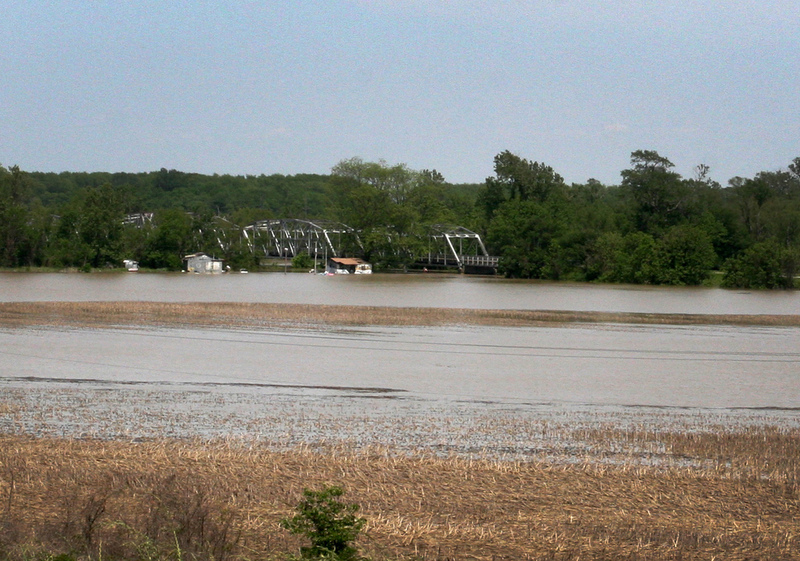 William Faulkner wrote about the great flood of 1927, but this one is even bigger. I have a personal interest in this story from the river country where the lives of many people have been disrupted. Redwood United Methodist is my home church which was established in 1950 when I was two years old. My mother was a charter member and its oldest member until her death in 2009. My younger brother, Stan, is the organist for the church. Most of the folks in the area, like my brother, live in the loess bluffs which run along the Delta on its eastern border. You may remember the description of these bluffs at Vicksburg, which made it such a formidable fort during the Civil War, and where the Spanish established Fort Nogales in the 1700’s. 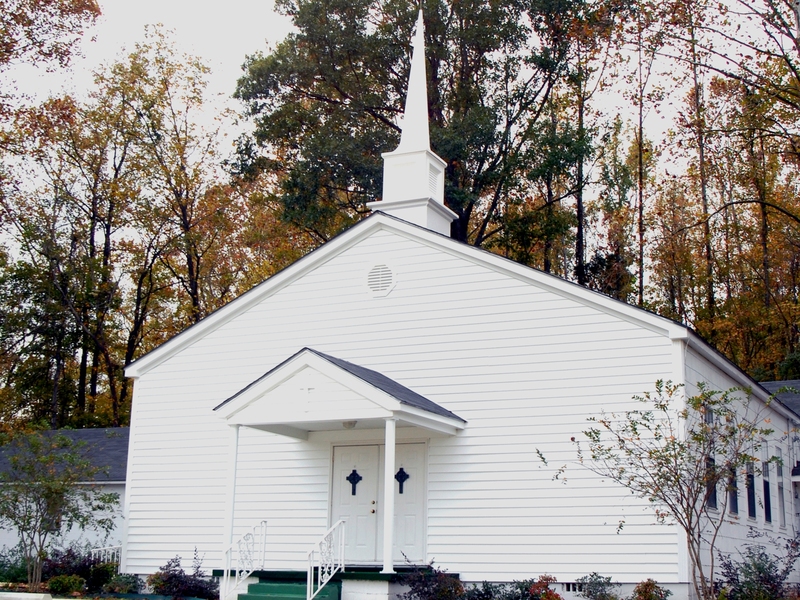 The church is on a two point charge with the Eagle Lake United Methodist Church in the Delta on a huge lake which used to be part of the Mississippi River until it changed course in a flood and left the lake behind as a renowned fishing site. The church is threatened on two sides, by a bayou next to it and also by flood waters held back by a berm constructed in front of the Redwood Elementary School across the road. The Redwood Church parsonage was being used as a temporary shelter for six people whose homes were threatened by the flood. I called Stan last week, and he told me they were hoping that the bayou would only flood their parking lot and not affect the church building. As of this week, I have not heard differently. The only news I heard was that a big alligator was sleeping on top of the levee holding back the flood waters from the Yazoo River. The United Methodist Committee on Relief has established an emergency advance offering to help alleviate the needs of people in several states affected by the flooding and other destruction inflicted by the terrible storms of this spring. A gift to US Spring Storms 2011, UMCOR Emergency Advance #3021316, will make it possible for UMCOR to offer relief and hope. You can give to the Advance through UMCOR’s website, www.umcor.org or get more information there. And a bulletin insert for local churches with information about supporting storm relief efforts can be found at this link. We in Florida know what it is like to experience disasters and to be the beneficiaries of the generosity of our fellow United Methodists. I strongly urge you to pray for the victims of the spring storms and to give generously to the Spring Storms Emergency Advance.